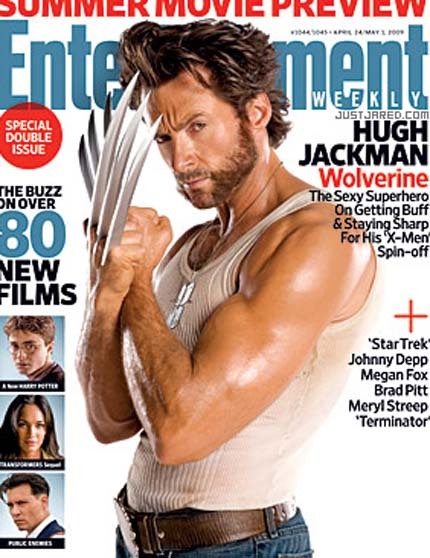 I think I’ve admitted before my love for Entertainment Weekly. Not only is it the only magazine I still subscribe to, but I love their PopWatch blog for up-to-the-minute reporting on all things entertainment. My one beef? The three, maybe four if I’m lucky, pages that they devote to covering books in the magazine. With only that small amount of space, you can barely dip a toe into the great stuff being published, or provide point and counterpoint reviews of bestsellers. Anyway, I was THRILLED to open the latest issue to read about EW’s new blog about books, Shelf Life! Huzzah! I’m already added it to my Google Reader, and look forward to the same chatty, informative blogging about books and publishing that they’ve brought to their Hollywood reporting. So while I’m adding great new sites to my Reader, I’m hoping you’ll let me know if there’s any other great book blogs I should be reading. The following are just some of the blogs I read (I’ve left out editor or agent blogs, but you can assume I already hit a whole bunch of those as well). Some may be out of date, but I’m eagerly looking for new sites to follow! What are some of your favorite book blogs to read? Cynsations is fantastic, and I read a few YA review blogs (like Carrie's YA Bookshelf) that update frequently, just to keep up with what's new. And my own, of course, like Lauren said! With that blog recommendation, you win hero of the day award. How about: http://girlmeetsbook.com/ Or find some good folks on goodreads. That works. Oh, heck what am I talking about? I have way more books that time to read them all! If every cover of EW is like this one, I'm in. I like visiting the readergirlz website and blog for current YA recommendations. Through the Tollbooth and The Enchanted Inkpot are two other group blogs by MG/YA authors.